Narva driving lights present an impressive range and has evolved setting new standards in driving lights and driving lamps. Narva driving lights are available in Halogen or HID or LED. 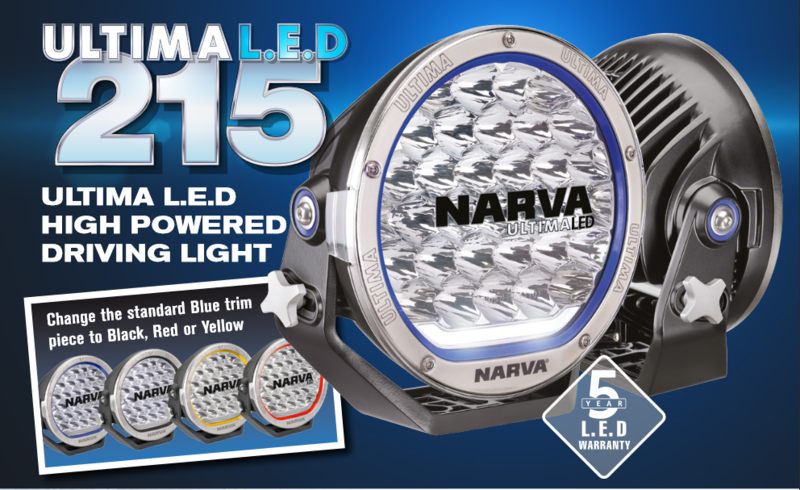 We supply the full range of Narva driving lights including Narva Ultima 225 & 175, Narva Extreme in both Halogen and HID, Narva Taurus, Narva Compac, Narva Ultra Compact and the Narva Maxim Range. Compac 70 Driving Lamp 12 Volt 55W 70mm dia. Compac 70 Fog Lamp 12 Volt 55W 70mm dia. Compac 100 Driving Lamp 12 Volt 55W 100mm dia. Compac 100 Fog Lamp 12 Volt 55W 100mm dia.